BIGGLES IS YOUR TIME TWIN! 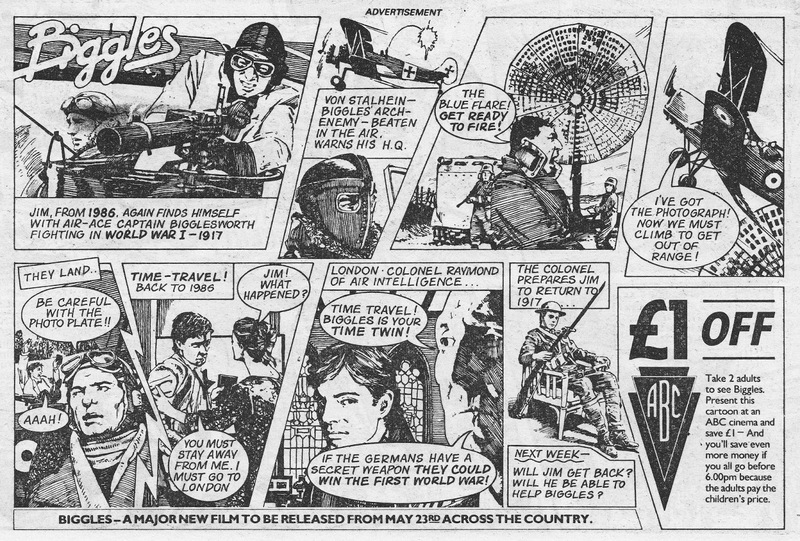 This is the third part of the BIGGLES movie preview promo strip which appeared in half-page chunks in the EAGLE during May 1986. This instalment was published in the issue cover-dated the 17th.